The decision is said to be retaliation for President Jair Bolsonaro’s decision to transfer the country’s embassy in Israel from Tel-Aviv to Jerusalem. RIO DE JANEIRO, BRAZIL – Saudi Arabia’s decision to unauthorize five Brazilian chicken slaughterhouses from exporting to the Arab nation is a retaliation for President Jair Bolsonaro’s decision to transfer the country’s embassy in Israel from Tel-Aviv to Jerusalem, according to former Secretary-General of the Arab League, Amr Moussa. Five slaughterhouses were unauthorized to export their products to Saudi Arabia on Tuesday, photo by Agência Brasil. “The Arab world is infuriated [with Brazil],” Moussa told journalists in Davos, Switzerland while attending the World Economic Forum. “This is a protest against a wrong decision on the part of Brazil. Many of us do not understand why the new president of Brazil treats the Arab world in this way,” said one of the Middle East’s most influential businessmen. According to ABPA (Brazilian of Animal Protein) there are currently 58 plants authorized by the Brazilian Ministry of Agriculture to export to Saudi Arabia, but only thirty of these actually exported products. “The reasons given for the non-authorization of the other qualified plants are based on technical criteria. Corrective action plans are in place for the resumption of authorizations,” stated the entity in a note released on Wednesday. 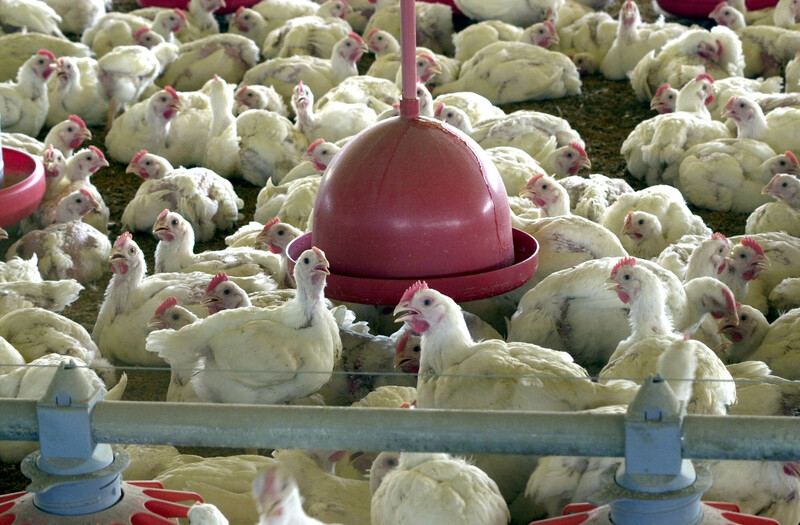 “About fifty percent of Brazilian chicken exports go to Middle East countries. You lose that, and it means problems for our companies,” warned former Agriculture Minister, Blairo Maggi, back in December, when President Bolsonaro said his administration would be discussing plans of moving the embassy. Acting Brazilian President, General Hamilton Mourão, however, dismissed the current rumors that the non-authorization was related to a possible location change of the Brazilian embassy in Israel. “It has not been changed yet. The [Saudis] people are anticipating the ‘enemy’s’ move,” he said when questioned by journalists. Correction: This article has been updated to clarify that the plants that were unauthorized by Saudi Arabia were chicken slaughterhouses and not pork slaughterhouses.